As many of you know, Mik Storer is the designer of my Goat Island Skiff. As popular and as awesome as the Goat is, Mik has also designed other boats as well, all of them excellent. Obviously my mind wanders to boat building as the days get shorter and water colder. While I am Zinea, Pterodactylus and I will sail well into the cold season, I'm getting a hankering to trying some new boats, if only to demonstrate my new hard won building skills. For instance, I have had a real hankering recently to get a canoe so I can do some paddling on the local ponds and rivers, freeing me from the 1hr. car ride I have to make everytime I want to go sailing. It's my water fix, and I need it. Since I'm not working now due to my two ruptured discs in my spine (I'm fortunately mobile, but I cannot sit for any appreciable amount of time-- this is why the Goat is so awesome, I can easily stand and sail), I'd love a canoe, but it needs to be a cheap canoe. Voila, el answero: The Quick Canoe. Goes together quick and dirty and cheap for fun on the water. Of course, one could also make it nice. Csaba in Hungary just put one together, and put together this video for it. I mean, how much more fun do you want, in 5 hours and a couple of hundred bucks later? Already I've seen sailing versions, narrow versions, white-water paddling, a motor-QC conversion, amongst numerous other builds, some really spanky nice, some really cheap. Get on the water! Another boat that really has my Goat *joke* is Mik's sailing canoe yawl, Beth. This is a beautiful boat. Please see Mik's Beth Flickr page and peruse around. Mik sells this plan with the caveat that you are going to capsize, get wet, go fast, and then capsize again, but boy! She pulls at my heartstrings she does. She may not be the best boat for my back right now, but she's on my hit list. No kidding. In the meantime, my good friend and adventuring buddy is working on his own Storer design, the elegant and multipurpose Eureka canoe. Stay tuned to see this boat in person, vicariously through me. 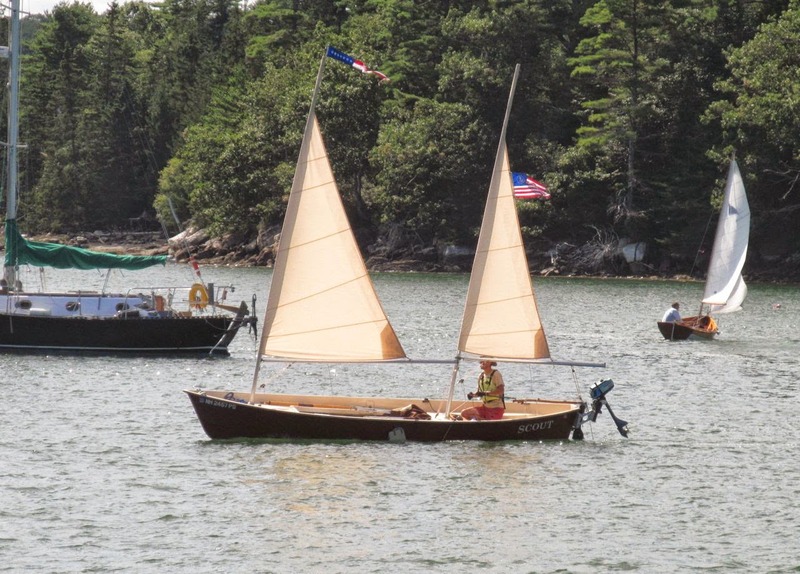 Another boat perhaps on the Storer drawing table is the fabled "Son of Goat," a smaller yet just as capable version of the Goat Island Skiff, except mainly tuned to one person and the occasion passenger. A thread here, describes the concept. A nice stable of boats, if I may say so myself.